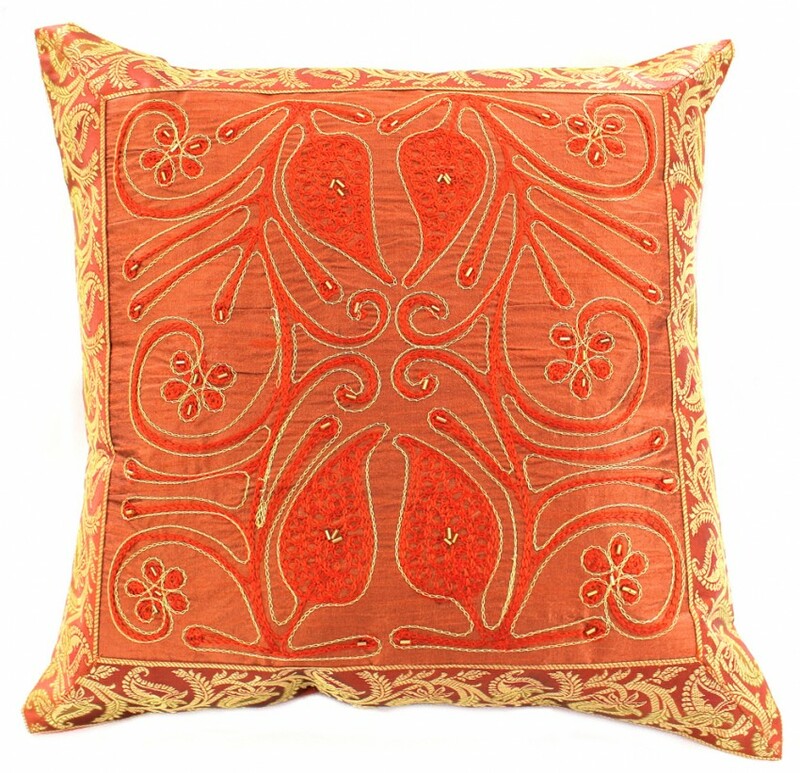 Gorgeous embroidered throw pillow cover from Banarsi Designs features a unique paisley floral design, hand embroidery, and the vibrant Saree border. 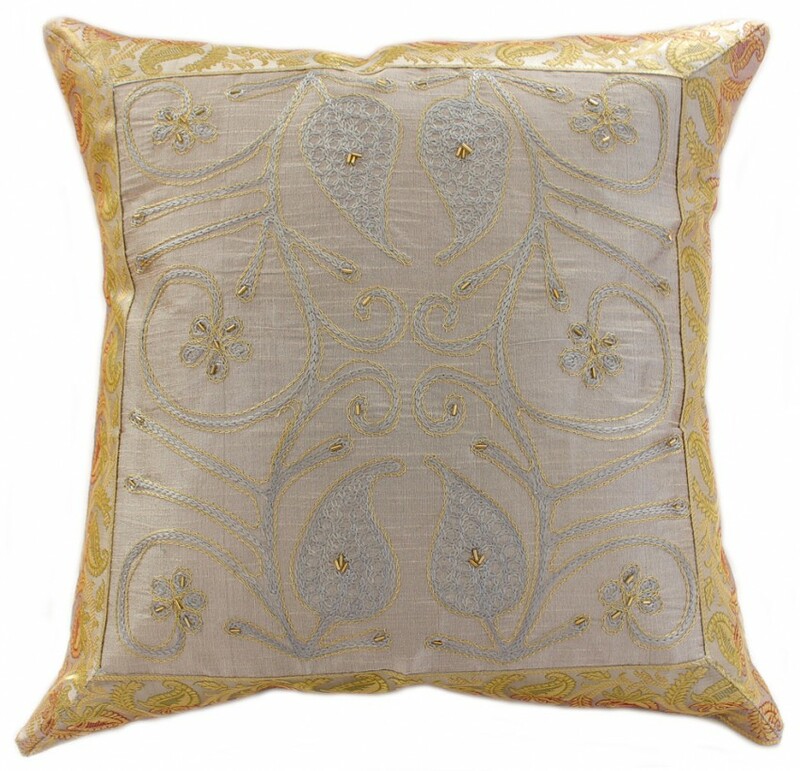 Bring beauty and radiance to your surroundings with the Ornamental Embroidered Throw Pillow Cover from Banarsi Designs. 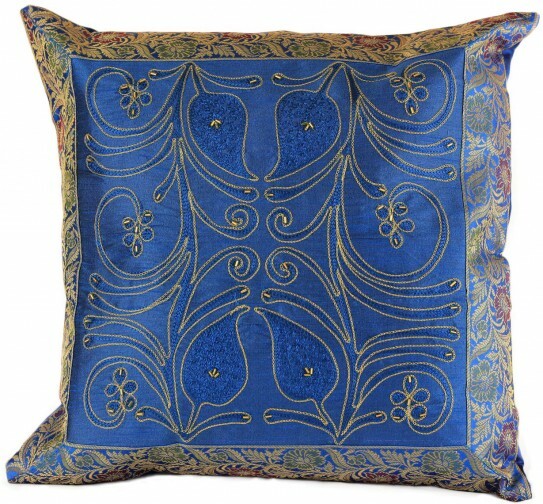 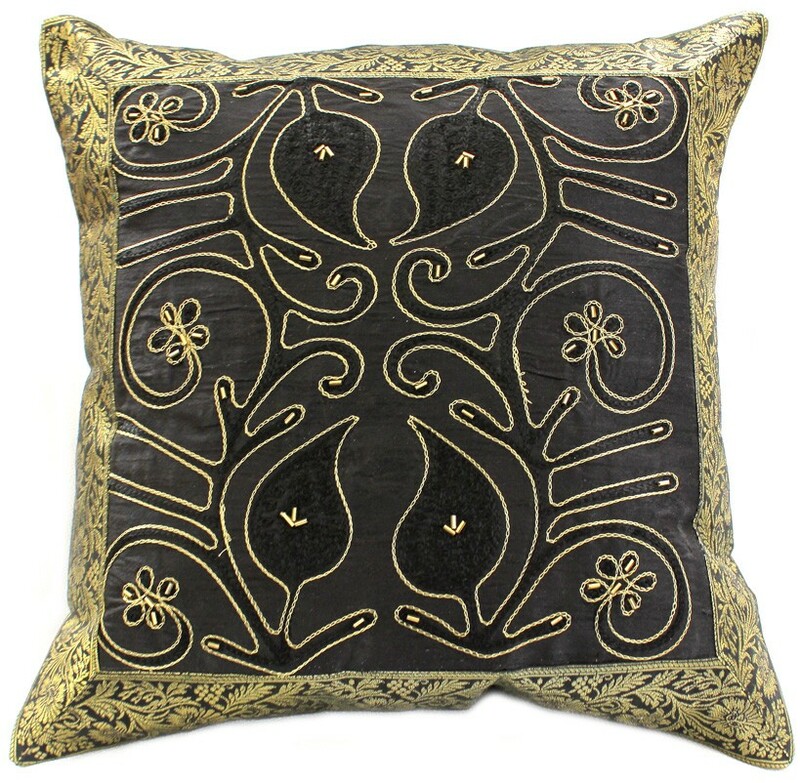 This unique pillow cover features a beautiful paisley design and hand embroidery. 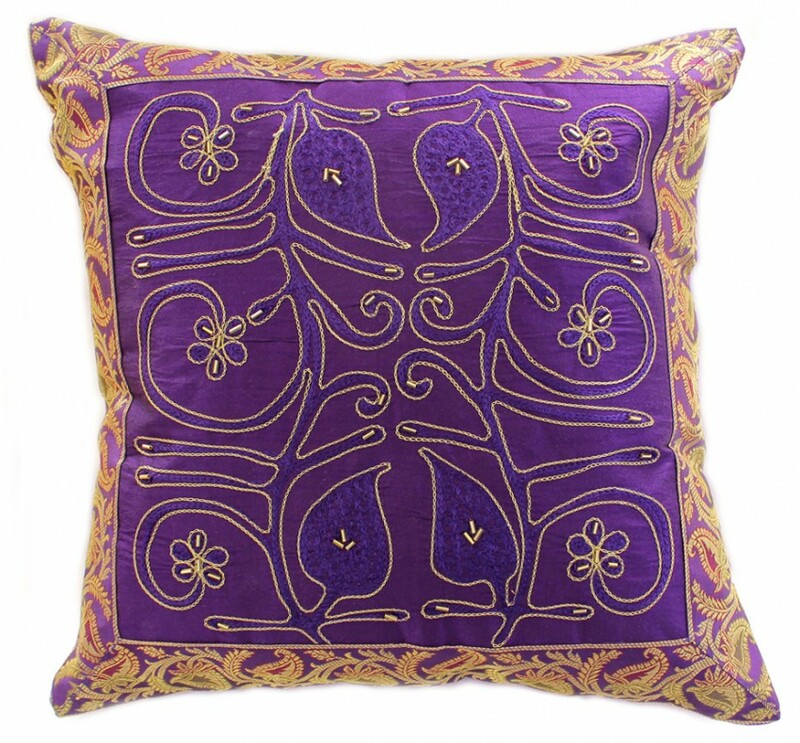 It is embellished with the Banarasi Saree border and is available in multiple vibrant colors.